When the owner of a home situated in the Rocky Mountains was faced with replacing his 10,000-square-foot roof, he had a daunting set of criteria. He wanted a roof that would last longer and look better than the wood shake roof he had in place. He also wanted a roof that would be fire resistant, and one that would stand up to the elements in this harsh environment, as the home was situated high above the ski areas of Vail and Aspen in Colorado. The elevation of this home is almost 10,000 feet, and snow loads are a major concern, as are high winds and exposure to ultraviolet rays. 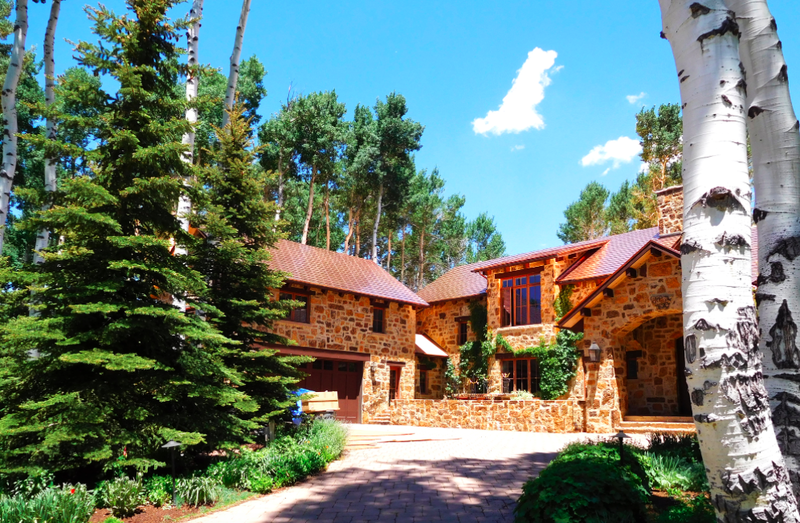 The homeowner needed a durable roof system that was designed for the Rocky Mountains, one that would add value to his investment. Plath’s goal was to develop a metal shingle product that was efficient to install, needed little or no maintenance, and could be priced competitively with standing seam metal roof systems. He came up with a metal shingle concept comprised of a folded panel 37.125 inches long and 13.5 inches wide, designed to look like four individual shingles side by side. When the product is installed, the exposure is 32 inches wide by 11 inches tall. The Riva Series metal shingle has developed a history of meeting the needs of area homeowners since its invention, according to Plath. The company offers the product in copper and zinc, as well as steel and aluminum substrates pre-painted with PVDF coating systems in a variety of solid colors and print-coated patterns. “The durability of the roof system has been proven over many years with hundreds of installations, and we have a track record second to none in meeting these types of vigorous needs,” he says. For the Rocky Mountain retrofit project, the Riva Classic Copper Shingle was chosen. The original roof system had an insulation value of R-39, and the goal was to keep the house well insulated while installing the new roof system. This required a highly trained installer for the new roof, and no one had more experience than Plath Construction, the company originally co-founded by David Plath and now run by current owners Alberto Ortega and Francisco Castillo. Ortega and Castillo worked in conjunction with Schaeffer Hyde Construction, the general contractor on the home when it was originally built. Rob Faucett of Schaeffer Hyde Construction was the project manager on the roof replacement project. After the old roof was removed, the Vail Metal Roof system was installed. A layer of Grace Ice and Water Guard was applied to the deck, and new copper flashings and metal panels were installed per the manufacturer’s specifications. Clips were used to fasten the panels to the substrate and still allow for expansion and contraction. On this project, ridge vents were installed to control moisture buildup from the interior of the building. 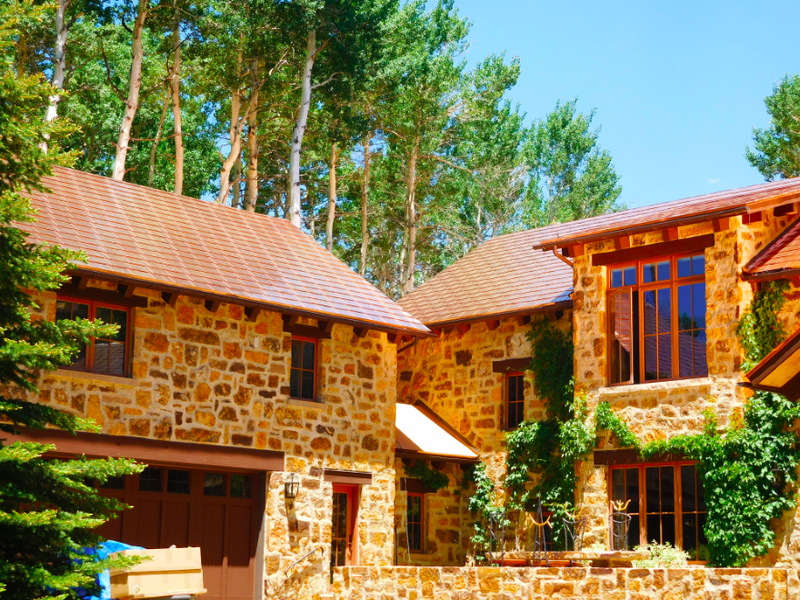 The home was built with natural stone in a gorgeous landscape, and the homeowner wanted a roof system that would blend well with these architectural elements and make a strong statement as it stood up to the tough conditions. He found the right answer in the Riva Classic Copper Shingle, and he is pleased with the aesthetics and the performance of the roof, according to Plath.